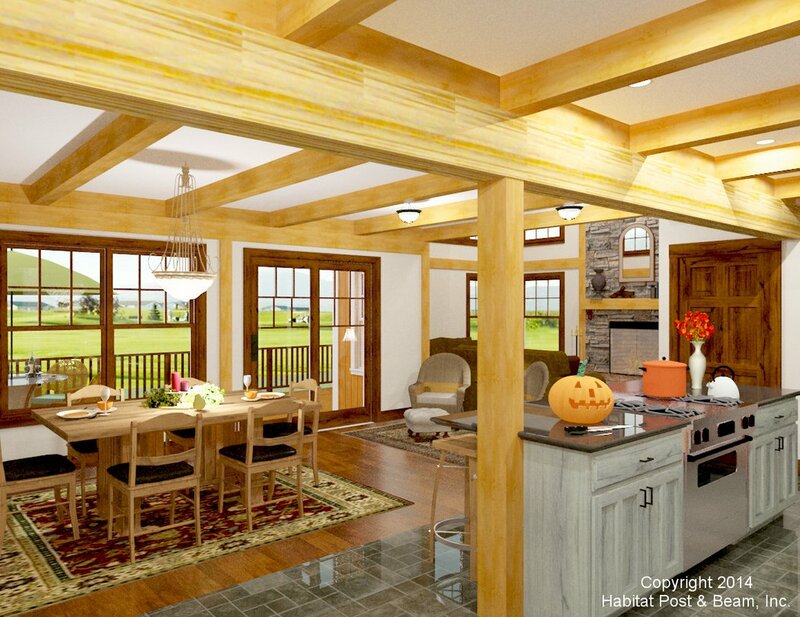 This custom home was modeled after one of our old standards, the Country Classic 1800. 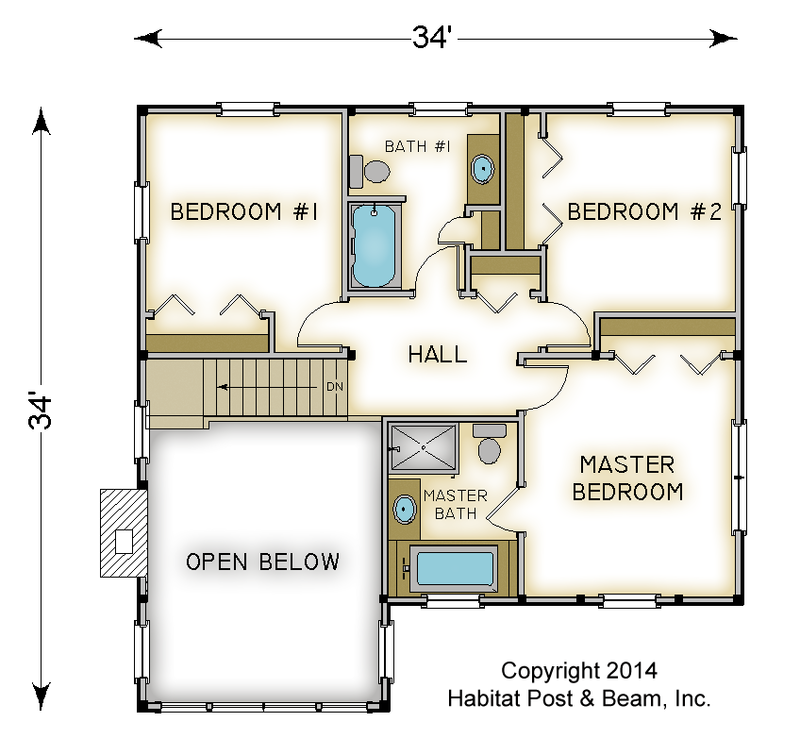 It has main level living with 3 bedrooms and 2 baths on the upper level. The main level playroom can also double as a guest bedroom. 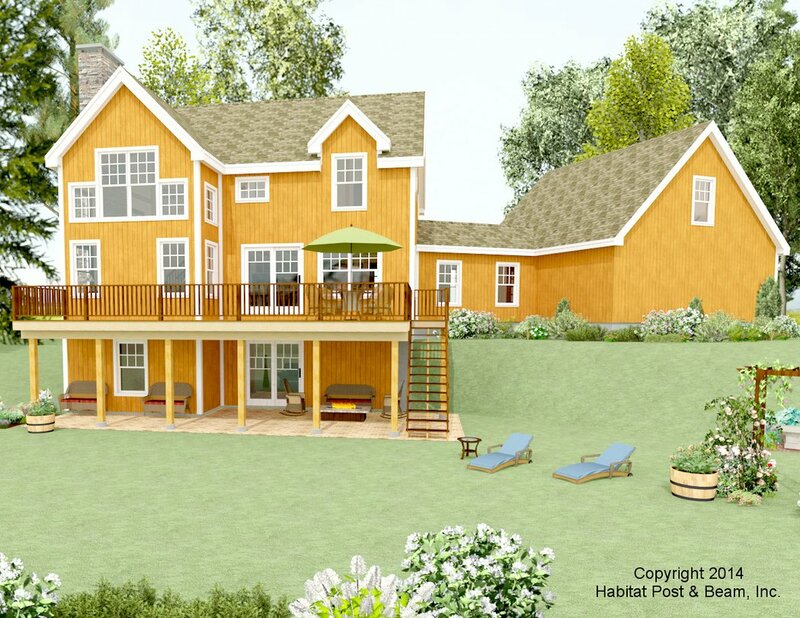 This design also has an attached 2 car garage with a bonus room above. Most designs can be adapted to add or remove walkout basements, garages, porches, etc., as desired (framing materials by owner/contractor). Package Price: $140,000 as specified below (from $134,000 to $167,500 depending on framing options). The standard price includes our Beamed Wall System, Plaster and Beam or Beamed Mid-Floor System (same package price), our Beamed Roof System over the living room, and our Plaster and Accent Beam Roof System with flat ceilings over the remainder. The entry porch is our Beamed Porch System. 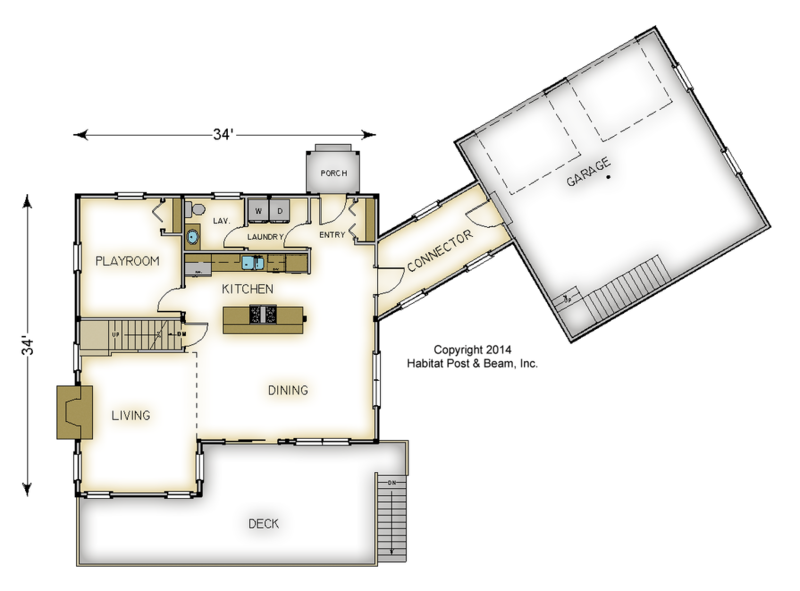 The walkout level (daylight basement), garage and connector are not included in the above pricing.